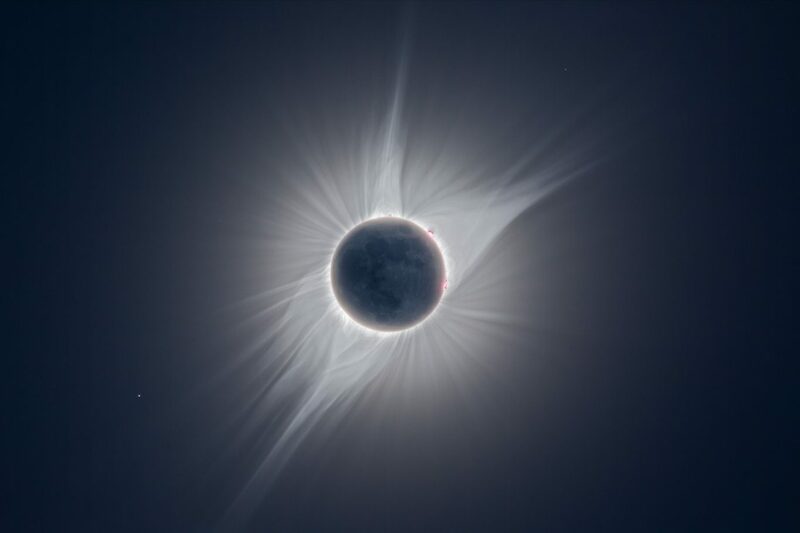 The Solar Corona during the total solar eclipse in August 2017. It’s not a single image but a stack of multiple photos shot with exposure times from 1/4000 to 4s. It’s absolutely impossible to capture the whole range of brightness of the solar corona in a single exposure. You can even see the Earthshine on the Moon. The corona might look impressive in the photo but it’s not even close to the real thing. I say it again: go and see a total solar eclipse with your own eyes.